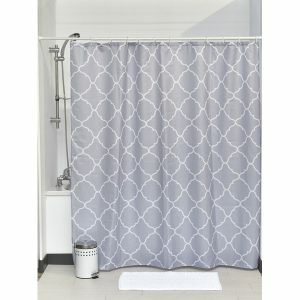 MATCHING collection: Complete your decoration with other products of the same collection Escal, like bath mat, tumbler, soap dispenser, toilet seat or trash can to name a few. 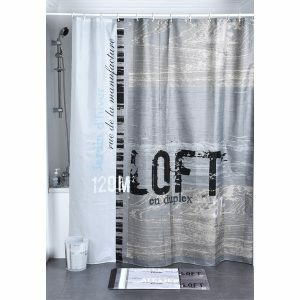 Complete your ATELIER LOFT decoration with other products of the same collection like bath mat, soap dispenser, toilet brush, trash can or toilet seat, to name a few. 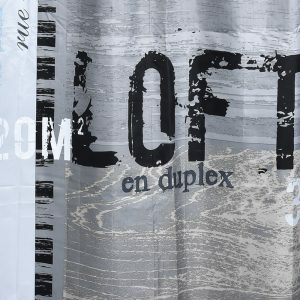 DESIGNER ARTWORK: nice English writing that will add sophistication and an elegant touch to your bathroom.Multicolored, rectangular shape. 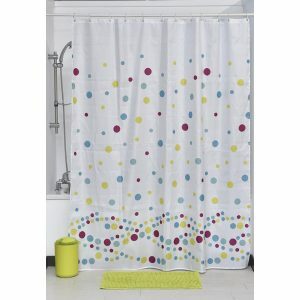 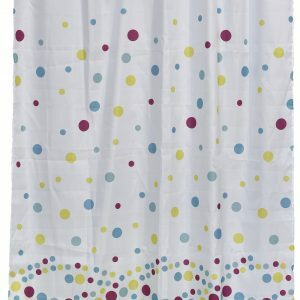 DESIGNER ARTWORK: STURDY CONSTRUCTION of colorful polka dots that will add a fresh touch to your bathroom. 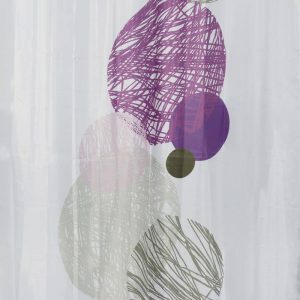 Color turquoise, purple green on white background, rectangular shape. 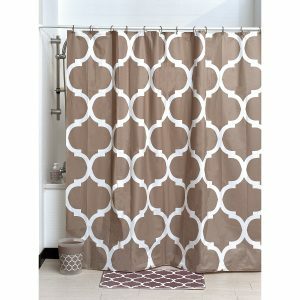 DESIGNER ARTWORK: nice credence tile design. 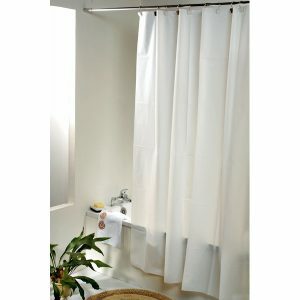 that will add sophistication and an elegant touch to your bathroom. 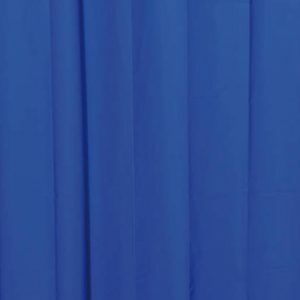 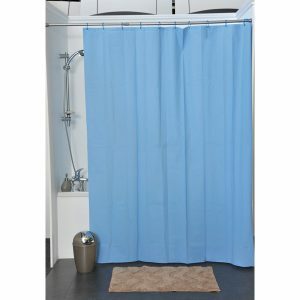 Color blue-grey, rectangular shape. 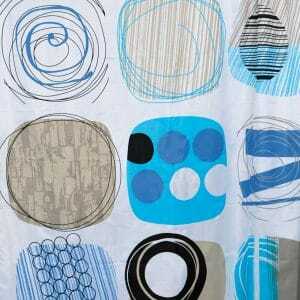 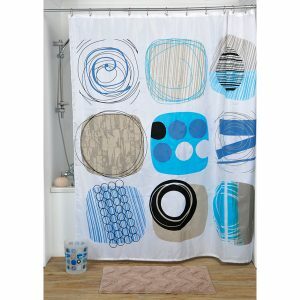 This printed shower curtain MOSAIC for bathrooms is in polyester, tissue effect. 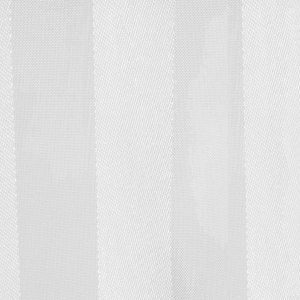 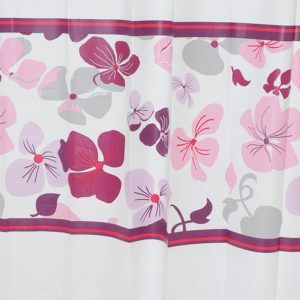 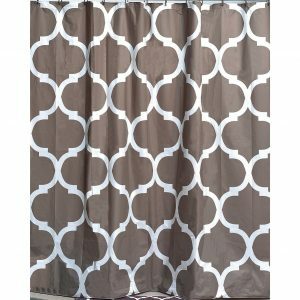 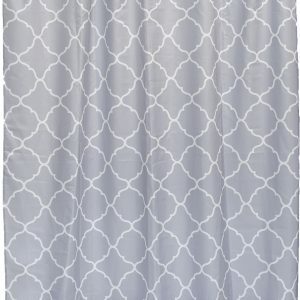 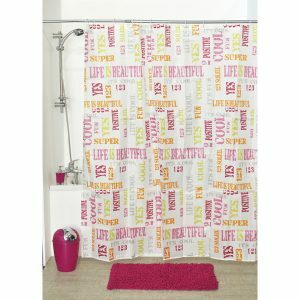 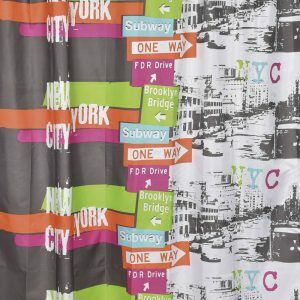 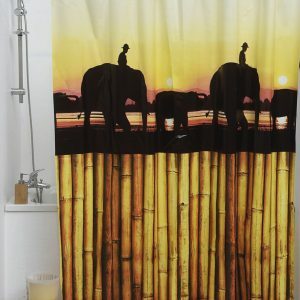 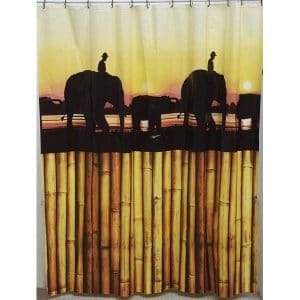 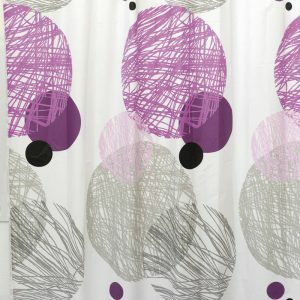 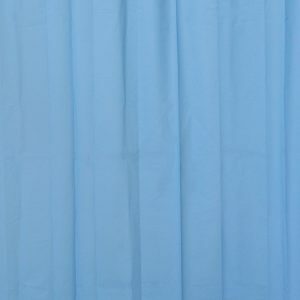 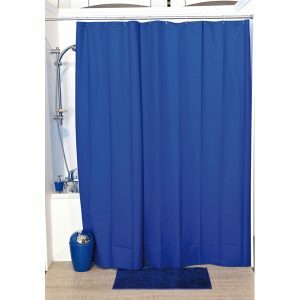 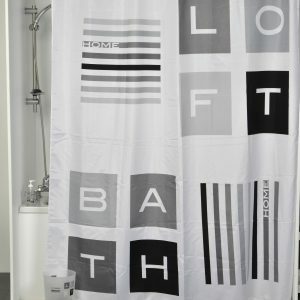 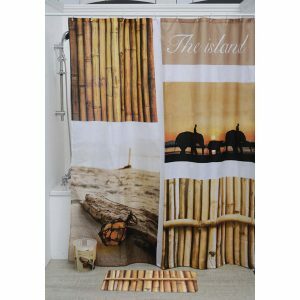 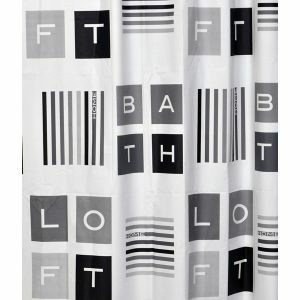 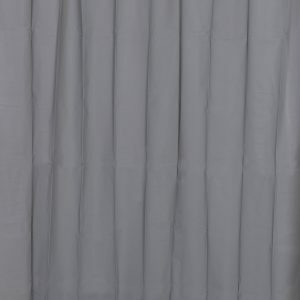 Enjoy a haven of peace with this STURDY CONSTRUCTION printed shower curtain The Island! 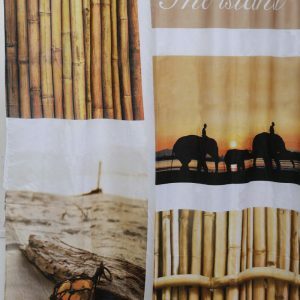 Complete your The Island decoration with other products of the same collection like bath mat, soap dispenser, toilet brush, trash can or toilet seat, to name a few. 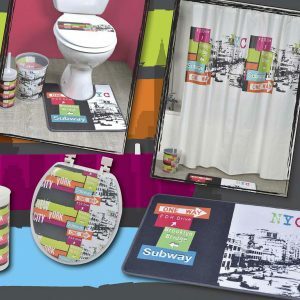 Complete your decoration with other products of the same collection Valentine like bath mat, soap dispenser, toilet brush, trash can or toilet seat, to name a few.